The Shalom Hartman Institute's Charles E. Smith High School for Boys and Midrashiya High School for Girls, provide 700 students in grades 7-12 with rigorous Jewish and general studies programs that promote critical thinking, religious tolerance, gender equality, individual creativity, community leadership, and social responsibility. Their focus on democratic values, openness to new ideas, and respect for diversity in Israeli and Jewish life make them critical incubators for Israel’s future. 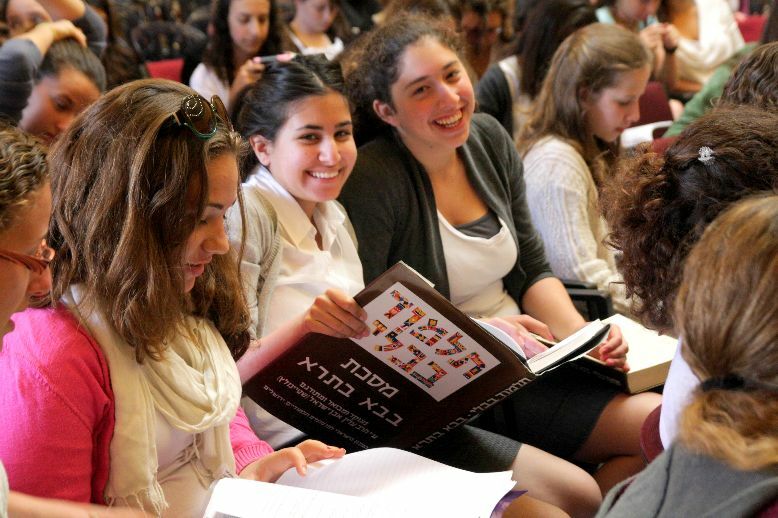 Hartman high schools are the vanguard of religious Zionist education, with graduates demonstrating a commitment to Jewish and democratic values. Beyond the classroom, through projects that directly support underprivileged sectors in Israeli society, the schools promote community involvement, providing students with a model for a more just society. Nearly 100% of alumni serve in the IDF or perform national service. In 2016-17, the Midrashiya placed first among Jerusalem high schools in national standardized student test scores in science, math, Hebrew, and English. the boys’ school once again placed near the top as well. In 2016-17, the schools launched a collaboration with faculty and administration of Palestinian schools in east Jerusalem to jointly discuss dilemmas of teaching religious tradition alongside gender equality. Participants met once every two weeks to study and discuss implementation of Hartman High Schools’ unique gender curricula in Arab schools. For more information, click here or on the image above to download the Hartman Orthodox High Schools brochure.